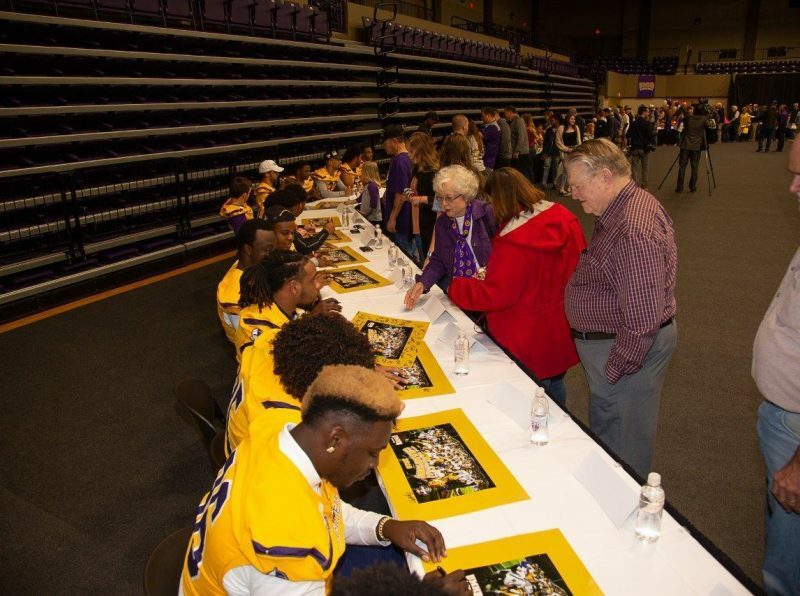 Belton, TX – On Thursday, January 31, over 600 fans of the University of Mary Hardin-Baylor Cru football program came to the arena of the Frank and Sue Mayborn Campus Center to celebrate their team’s perfect 2018 season, which culminated in the team’s second NCAA Division III National Championship. 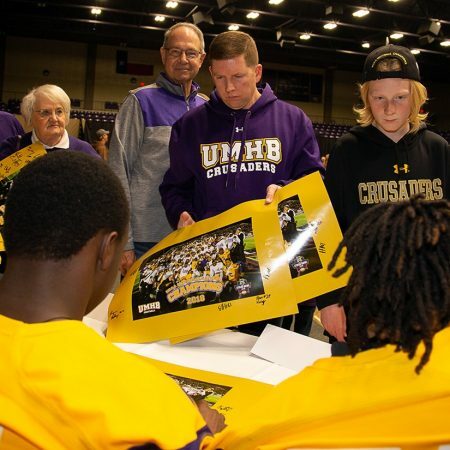 Visitors entering the arena were given commemorative posters of the team featuring a photo of players and coaches after the Cru’s 24-16 victory over Mount Union in Amos Alonzo Stagg Bowl XLVI. 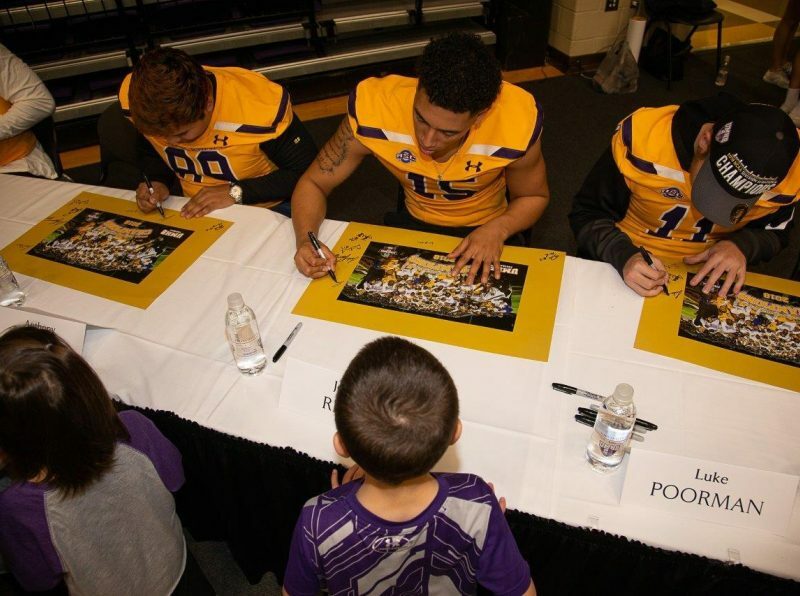 Fans also had the opportunity to meet all of the players who took part in the game and get their autographs. 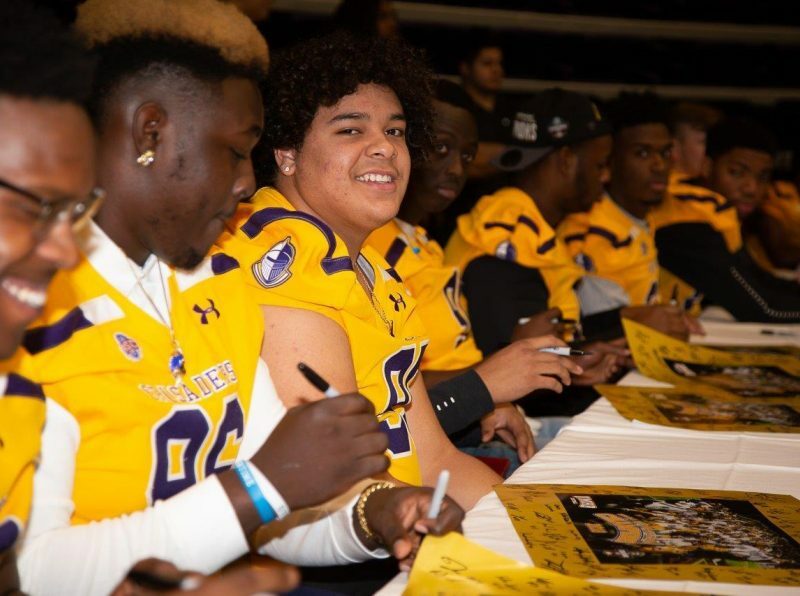 A popular attraction throughout the evening was a photo booth where guests could take photos and selfies with the NCAA Division III National Championship trophy. During the event a series of special presentations were made. 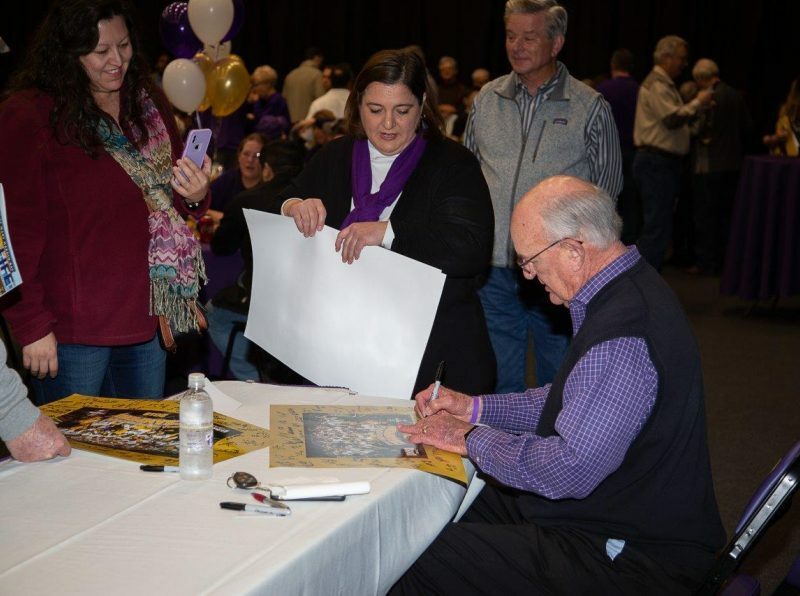 Belton Mayor Marion Grayson shared her delight at watching UMHB enjoy win and after win during the season, and she read a proclamation from the City of Belton declaring January 31, 2019, to be "Cru Football Day." Hugh Shine, representative of Texas House District 55, read from Texas House Resolution 30, a bill approved by both the Texas House of Representatives and Senate, which commended the team, their coaches, and the university for its tradition of excellence. 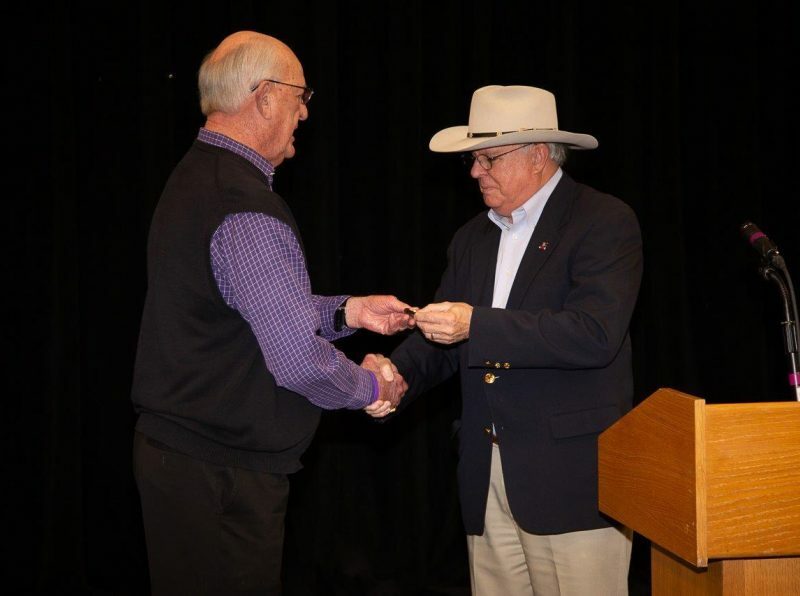 Col. Al Simmons, commander of the 61st Quartermaster Battalion at Fort Hood, paid tribute to the team on behalf of Fort Hood and presented Fredenburg with an honorary coin. 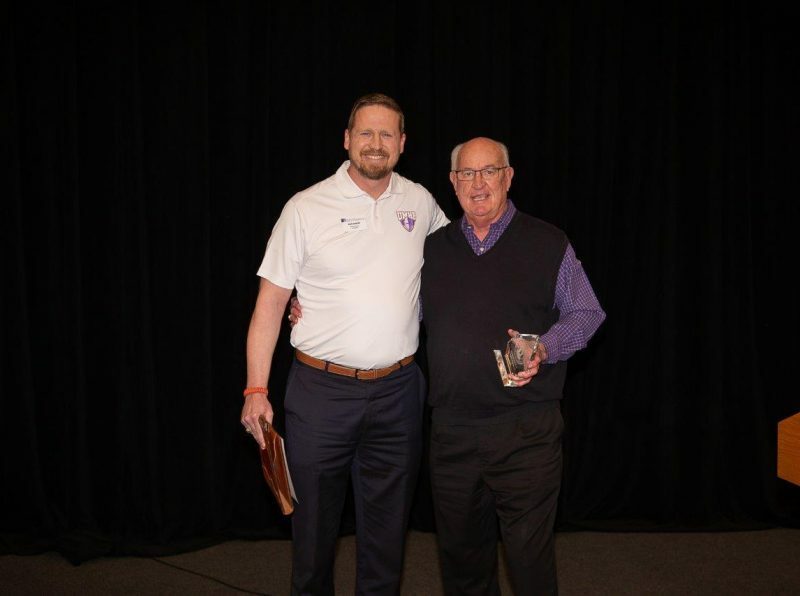 Justin Gaidusek, president of the UMHB Alumni Association, wrapped up the presentations by recognizing Fredenburg as an "Honorary Alumnus." 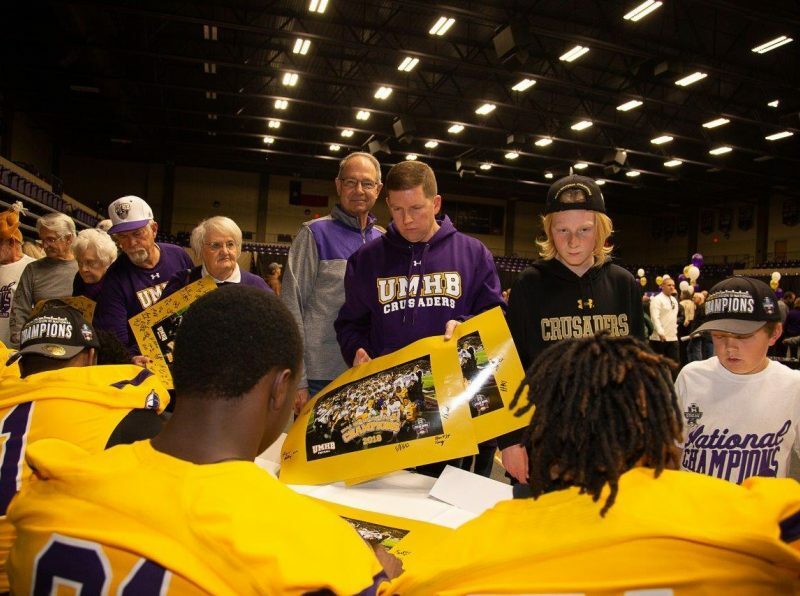 Throughout the event, visitors enjoyed dishes made popular in Crusader Stadium, including Cru Dogs and ultimate nachos. 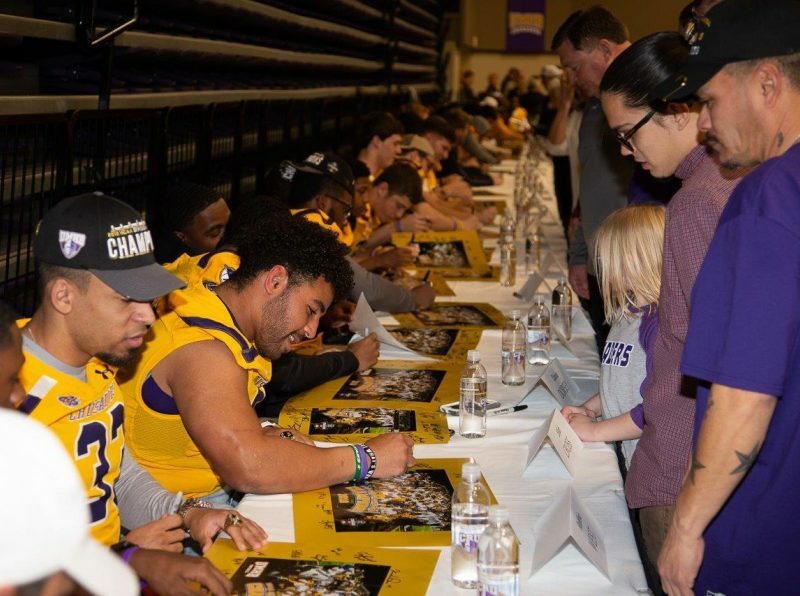 Video highlights of the Cru’s 2018 season, including its Stagg Bowl victory, were also screened throughout the evening, giving fans the chance to relive moments of glory from the 2018 season.